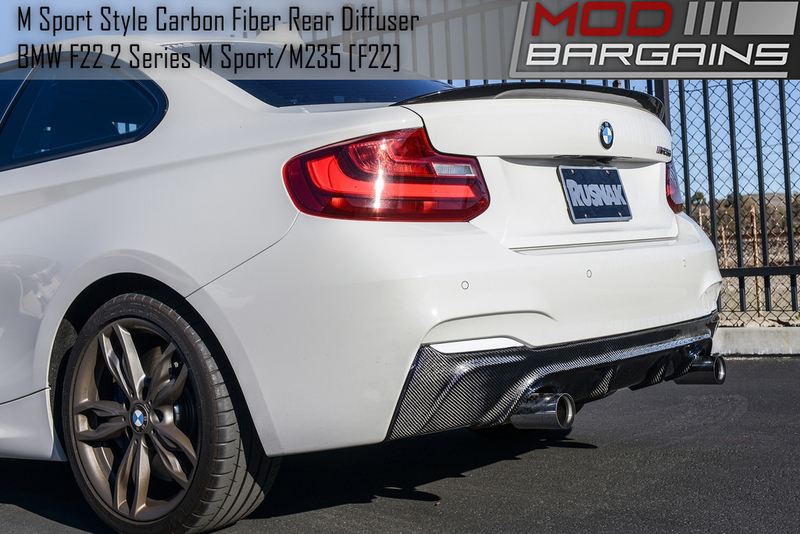 BMW F22 2-Series M Sport Style M235 Carbon Fiber Rear Diffuser makes the back end of your car look great as you pull ahead! Adds a dash of aggression to an differentiate your ride from the crowd. CF design flows well with OEM body lines enhancing over all look. 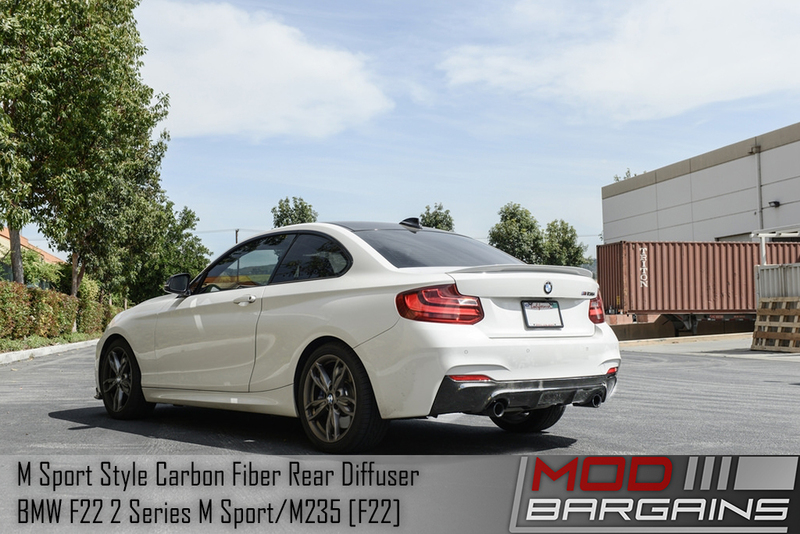 Pick up a real Carbon Fiber Rear Diffuser for your F22/F23 2-Series BMW and enjoy aggressive new looks from the rear end of your car! 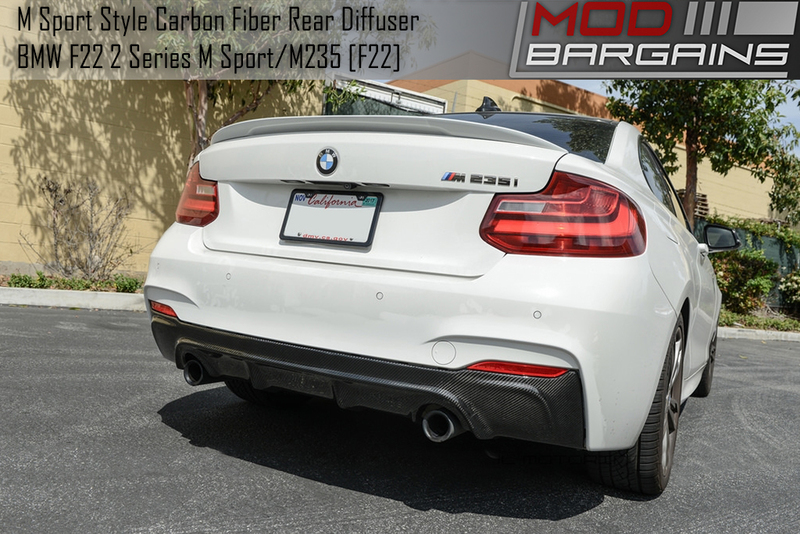 The back end of your F22 or F23 looks okay, but this CF rear diffuser really spices it up, and gives something slower cars to look at as you surge past them. Plus, this piece looks great even when your car is parked-so you'll have something to drool over when walking up to your car in the parking lot or garage.